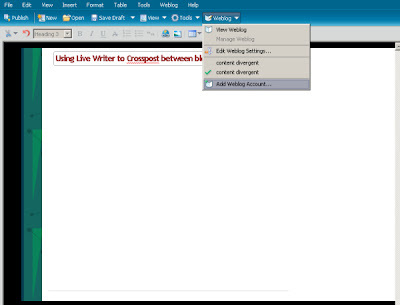 Live Writer is a desktop application from Microsoft that allows the user to easily post to Microsoft Live Spaces, Blogger, wordpress, and other blog software (either hosted or on your own server). 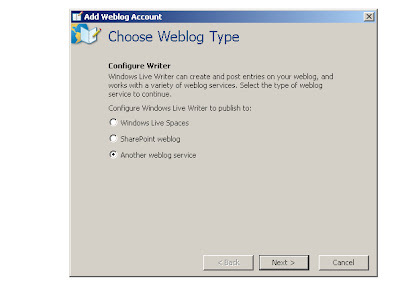 The WYSIWYG tool is amazingly easy to setup and use and posting to multiple blogs is a snap. 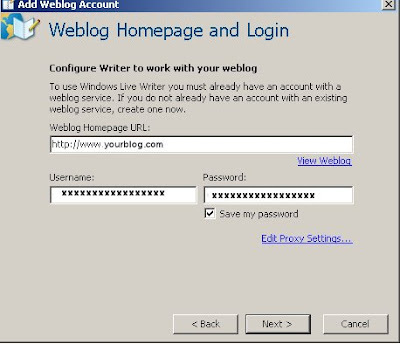 Type in the URL of your blog and password and login. 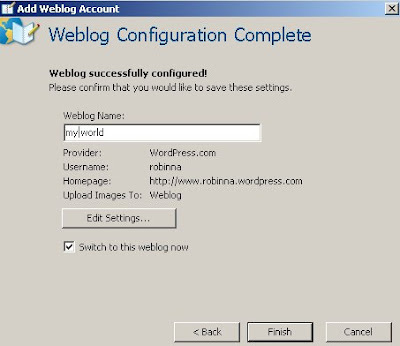 If it is unsuccessful, then you may need to change some settings, such as choosing the type of blog account or changing settings based upon your specific blog settings. Make any changes needed and click Next. 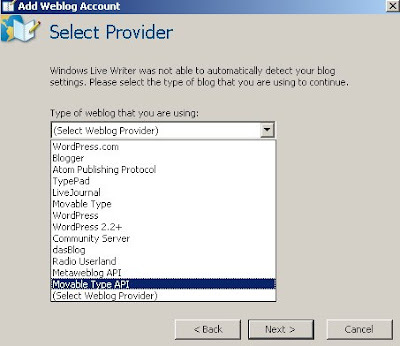 Once LiveWriter is successful, the message Weblog successfully configured pops up, along with a spot to change the name of the blog, and edit other settings. On the right sidebar menu, is a list of the blogs configured, a list of tools (insert table, etc.). To crosspost to a blog, Under weblog, choose the “new” blog, and then click publish (far left top menu). 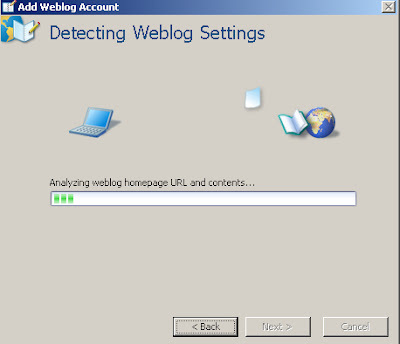 This entry was posted on Thursday, March 13th, 2008 at 2:10 am and is filed under blogger, blogging, tools/tips, wordpress. You can follow any responses to this entry through the RSS 2.0 feed. You can leave a response, or trackback from your own site.